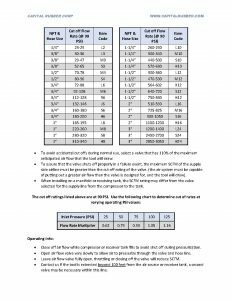 Pneumatic safety check valves automatically cut off the air flow when a drastic change in flow is detected. Safety check valves are recommended in most, and OSHA required in many, pneumatic tool to compressor applications. The valve senses the change in air flow and shuts off in the event of a surge in pressure to prevent hose whip. 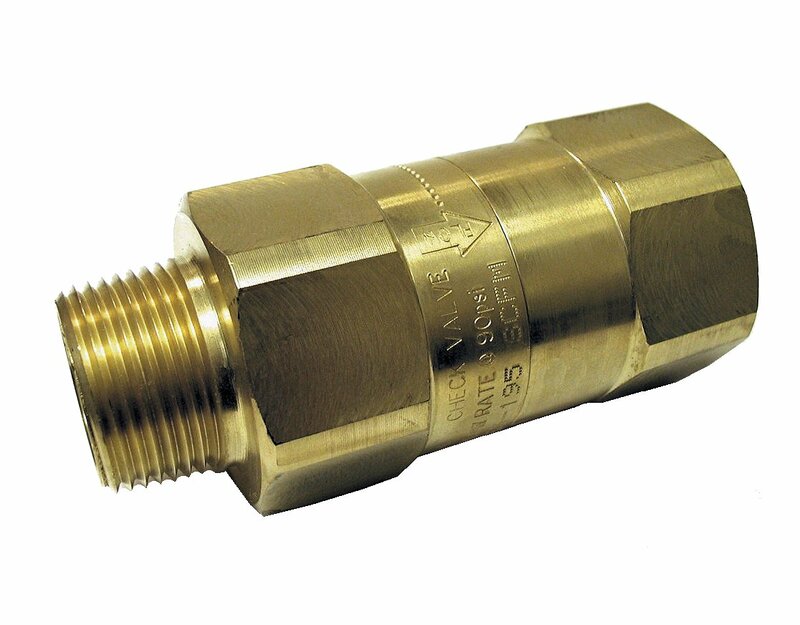 The valve resets automatically when the line is re-pressurized. Install at the beginning of the pneumatic supply line and each branch line between the air source and the tool. Each size is available in a variety of preset SCFM cut-off rates for compatibility with most pneumatic tools. An anodized aluminum version is available in 90-100 SCFM cut off range in 1/2 and 3/4 sizes only.